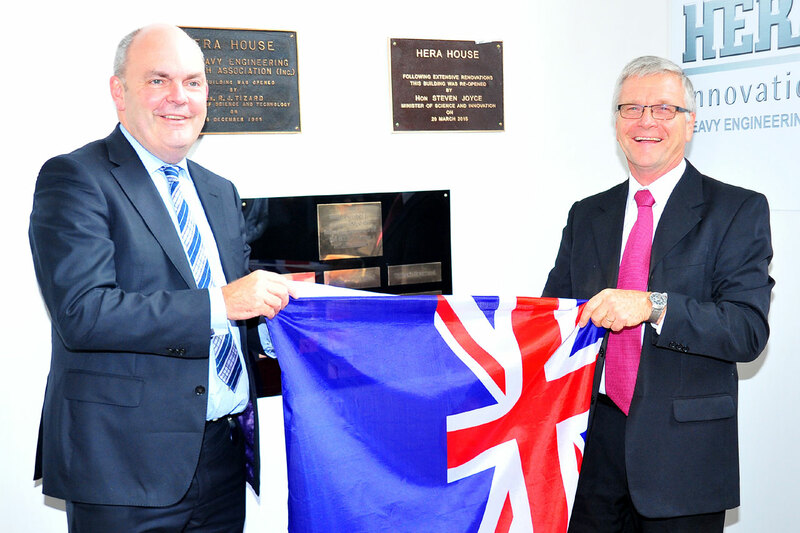 By any measure of our industry networking functions, the official re-opening of HERA House attended by the Minister for Research and Innovation Hon Steven Joyce was a great success. Despite having to defer the starting time by two hours, over 110 invited guests attended the celebration. For me, and I am sure this view is shared by all of those who attended, this type of function not only brings our industry members together to celebrate industry achievements, but it demonstrates to everyone including the Minister responsible for the HERA Act, that our industry is alive, striving and has its eyes firmly set on the future. Seeing our industry leaders, who have engaged in the HERA House refurbishment, standing in front of the membership outlining what HERA is doing and what our industry issues are, gives me confidence that our industry, supported by HERA, will continue and even accelerate its innovation process to be globally competitive. Minister for Research and Innovation Hon. Steven Joyce and our Director Dr Wolfgang Scholz. It was very satisfactory to note that the Minister has invited us to continue dialoguing with him on our key industry issues, and indeed the HERA Executive will use this offered opportunity. Thank you to everyone who attended and helping to demonstrate significant industry presence and re-affirming the future focus of our local metals-based industry. Read the full article on the events of the day here.